Penicillin is the drug of the twentieth century. It was the first of the antibiotics that, for decades after the Second World War, underpinned a popular belief that infectious disease had at last met its match. With the emergence of 'superbugs' in recent decades these hopes have faded. Across the world, we are warned that widespread antibiotic abuse will inexorably erode the drugs' efficacy and our own earlier confidence in them. Penicillin pulls these different but conjoined stories into a compelling narrative spanning the second half of the twentieth century. 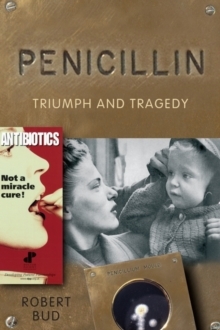 Using a wealth of new research, Robert Bud sets the discovery and use of penicillin in the broader context of social and cultural change across the world. He examines the drug's critical contributions to medicine and agriculture, and he investigates the global spread of resistant bacteria as antibiotic use continues to rise. Clearly written and highlytopical, his book will be of great interest to historians, scientists, and anyone wishing to understand penicillin's seismic impact on modern life.